ACIS T_GAIN Epoch 42 (May-July 2010) updates. ACIS-8S BKGRND files for the 2000-12-01 period, with improved destreak. ACIS level 1 calibrations for 1999 Engineering Observations (ERs). For the CIAO 4.2/CalDB 4.3.1 release notes, and "How CalDB 4.3.1 Affects Your Analysis," see this link. Time-dependent gain corrections, updated for the period May through July 2010, have been released as ACIS T_GAIN Epoch 42. The updates are at nominal levels of PHA-shifts, with no striking new trends. 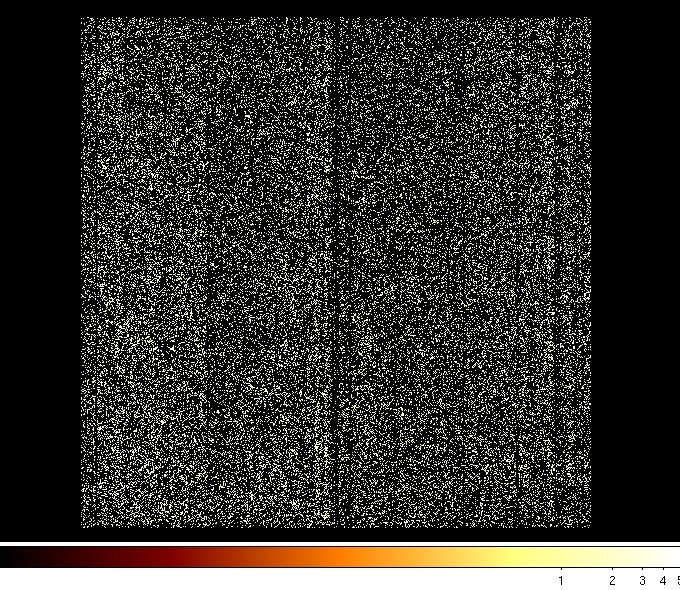 The data affected by this upgrade are any ACIS events taken since 2010-02-01T00:00:00, to varying degrees based on the interpolation time; however all changes are within 1% of the energy value, versus the previously applied temporary corrections. Note also that data taken since 2010-05-01T00:00:00 (UTC) will still have a temporary T_GAIN correction applied (the version N0002 files above) when reprocessed, until the Epoch 43 data become available. See the Technical Details section for more information about Epoch 42 corrections. For more informations on the ACIS time-dependent gain correction, consult the ACIS T_GAIN why page. Recent reprocessing of numerous datasets in CIAO 4.2 or later versions indicates the efficacy of the upgrade to the "destreak" program on ACIS-8. The two files above are to replace the two corresponding files already in CalDB, because of improved streak removal. See details in the Tech Details section below. The above files, already included in CalDB, are needed in processing of some 17 ERs that have encountered problems in ACIS GAINFILE (DET_GAIN) selection during reprocessing for the archive. The reason for the exceptions is that the FP_TEMP values are out of the nominal temperature range expected for the immediate period in which they were taken. With a number of header corrections, the appropriate DET_GAIN, T_GAIN, and in once case CTI correction file may be selected automatically in acis_process_events. USERS TAKE NOTE: These changes do not affect any ACIS observations of cosmic sources, or any ordinary science data. The header changes involve adding an additional listing of the files in the ACIS branch index file. This is accomplished by adding "0002" version of the standard CalDB keyword sets, specifically CCNM*, CDES*, CVSD*, CVST*, CVED*, CVET*, and CBD*. An additional CBD condition is also required which distinguishes the listings on the basis of OBS_MODE, so that the FP_TEMP boundaries and Cal Validity Start Dates may be adjusted for the OBS_MODE=SECONDARY case. The details, including the list of offending ERs, is given in the Tech Details section below. The ACIS T_GAIN Epoch 42 completed on 31 July 2010, and new T_GAIN corrections have been derived. As with each T_GAIN upgrade, the previous epoch's interpolation files are finalized with the following epoch, while the newly completed epoch's files are generated in a "flat," non-interpolating form in anticipation of the current epoch's completion in the future. The effects of the latest upgrade files, relative to the previous sets, are illustrated in Figs. 1-3 below. These examples are for the aimpoint positions on I3 and S3 only; the energy shifts versus photon energy will vary at different locations on the ten chips. Fig. 1 gives the corrections in eV for the aimpoint of ACIS-I3, CTI corrected. Fig. 2 gives the same for ACIS-S3 with the BI chip CTI-corrector applied. Fig. 3 gives the same data for ACIS-S3 with no CTI correction. This latter is relevant to GRADED MODE datasets for ACIS-S3. Fig. 1: Comparison of the total change in eV due to the Epoch 40, 41, and 42 T_GAIN files, for the I3 aimpoint. Fig. 2: Comparison of the total change in eV due to the Epoch 40, 41, and 42 T_GAIN files, for the S3 aimpoint, CTI correction applied. Fig. 3: Comparison of the total change in eV due to the Epoch 40, 41, and 42 T_GAIN files, for the S3 aimpoint, with no CTI correction. 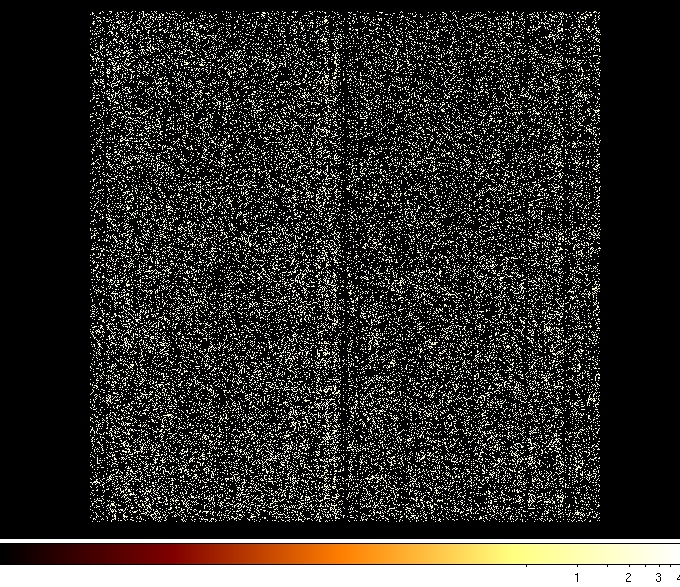 The ACIS calibration team has responded to an internal request to upgrade two of the ACIS-8(S) blank-sky background files due to the presence of streaks in the datasets that may now be removed using the latest destreak software (actually released in CIAO 4.0 in December 2007). The result is the two new BKGRND files that included in this release, which are packaged in the new ACIS bkgrnd tar ball for version 4.3.1. The figures below illustrate the reduction in streak events between the old and new files. Figure 4A: A "ds9" image of the events in the older ACIS-8(S) BKGRND file acis8sD2000-12-01bkgrnd_ctiN0001.fits, illustrating the marked white streaks near the central columns. These data were processed with CIAO 3.4, before the enhancement to "destreak." 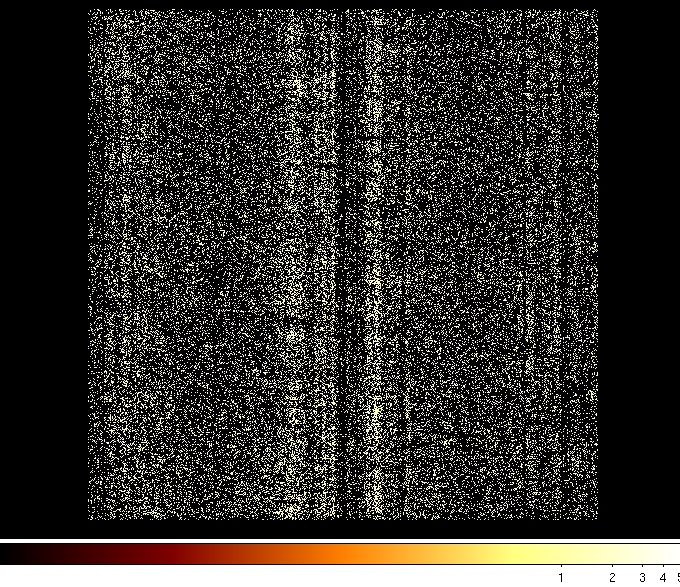 Figure 4B: A "ds9" image of acis8sD2000-12-01bkgrnd_ctiN0002.fits with the same input data as Fig. 4A, but processed with CIAO 4.2, with the enhancement to the "destreak" algorithm. Most of the streak events have been eliminated. Figure 5A: A "ds9" image of the events in the older ACIS-8(S) BKGRND file acis8sD2000-12-01bkgrndN0005.fits, illustrating the marked white streaks near the central columns. These data were processed with CIAO 3.4, before the enhancement to "destreak." 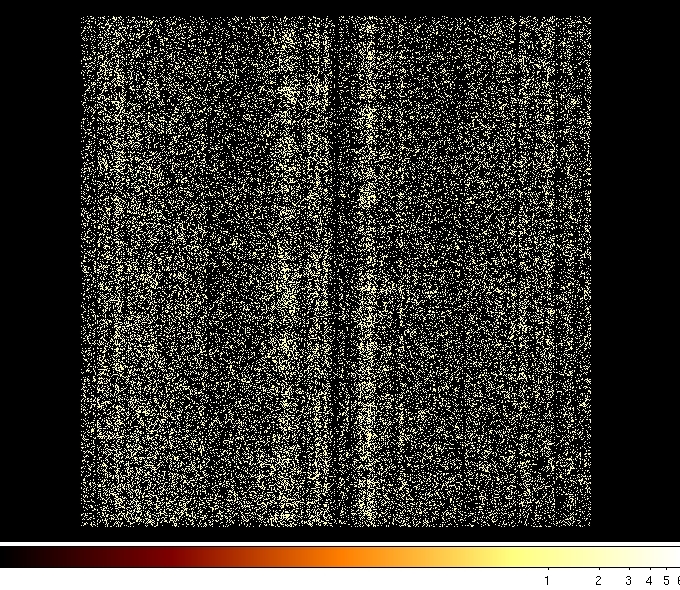 Figure 5B: A "ds9" image of acis8sD2000-12-01bkgrndN0006.fits with the same input data as Fig. 5A, but processed with CIAO 4.2, with the enhancement to the "destreak" algorithm. Most of the streak events have been eliminated. To complete the reprocessing of 1999 engineering observations (ERs), CXCDS Operations has identified 17 ERs that have encountered an error in ACIS L1 (acis_process_events) when selecting the DET_GAIN (parameter "GAINFILE") due to an out-of-bounds FP_TEMP setting during the run. Table 1 below gives the list of ERs with FP_TEMP exceptions during the period in question. USERS NOTE: These changes have no affect at all on processing of normal science observations; they affect only ERs with ACIS observing the External Calibration Source. Table 1: The complete list of Repro 3d ER OBS_IDs with FP_TEMP exceptions in acis_process_events. Table 2 below gives the header adjustments for the FP_TEMP range and the calibration validity start date for the OBS_MODE=SECONDARY case, which is the specification for ERs. Specifically, however, the headers of the given files require an additional version ("0002") for the keyword sets CCNM*, CDES*, CVSD*, CVST*, CVED*, CVET*, and the boundary conditions CBD*. Table 2: CalDB files and header changes required to clear stalled ERs in Repro 3d, as listed in Table 1 above.